Getting a truck rental takes time constraints and shipping companies out of the equation. Call us at (801) 266-7368 today, or reserve a vehicle online. Our truck rentals are rugged vehicles that can take on everything in Salt Lake City, Utah throws at them. Customers frequently opt for our large pickup for a multitude of reasons. Moving Appliances and Furniture: Those large, burdensome appliances and couches are no match for you with our pickup trucks at your disposal. The truck bed can lug most anything that you’d use on a day-to-day basis in the kitchen, bathroom, or deck. Instead of paying those enormous shipping costs, come to Affordable Rent a Car And Sales and keep it simple. Transporting materials: Are you facing the uphill battle of setting up an event, constructing a new home or building, or hauling bulk landscaping materials for a DIY home project? Having the resources to transport all your materials and equipment makes life a little easier and shortens the time it will take you to complete the task at hand. Traveling with skiing and sporting equipment: If you’re traveling into Salt Lake City for a ski trip, make sure you have the space to safely haul your favorite pieces of equipment. The bed of a rental truck has room to hold all your skiing and snowboarding gear – and even a snowmobile. Enjoy the snow without the hassle. Our rental trucks are not only convenient, but they are also priced to save you money. We have some of the most competitive rental rates in the area. Coupled with our excellent customer service, our low prices allow us to give our customers the best rental experience possible. 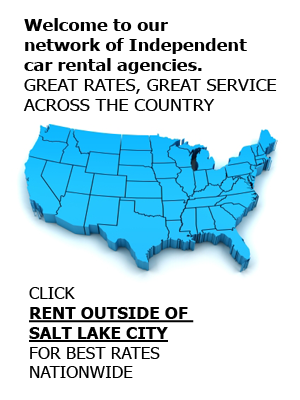 As a premier car rental agency in Salt Lake City, we also offer a large selection of car, SUV and van rentals to our customers. Contact us at (801) 266-7368 today, and ask about any of our cheap truck rental and other rental options, including airport car rentals and production rentals.